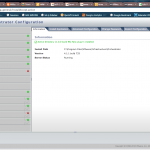 Last Friday VMware released the Orchestrator plugin for Active Directory v1.0. 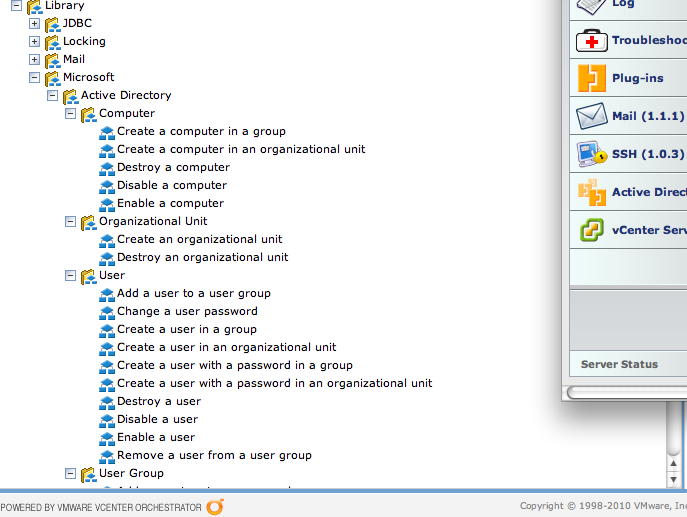 With the plugin it is possible to manage Active Directory objects straight from within Orchestrator. 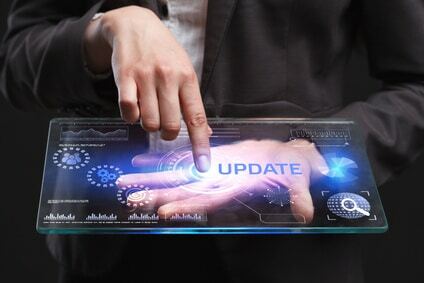 VMware vCenter Orchestrator provides out of the box workflows that can help administrators automate existing manual tasks. Administrators can utilize sample workflows from VMware vCenter Orchestrator’s workflow library and provide a blueprint for creating additional workflows. 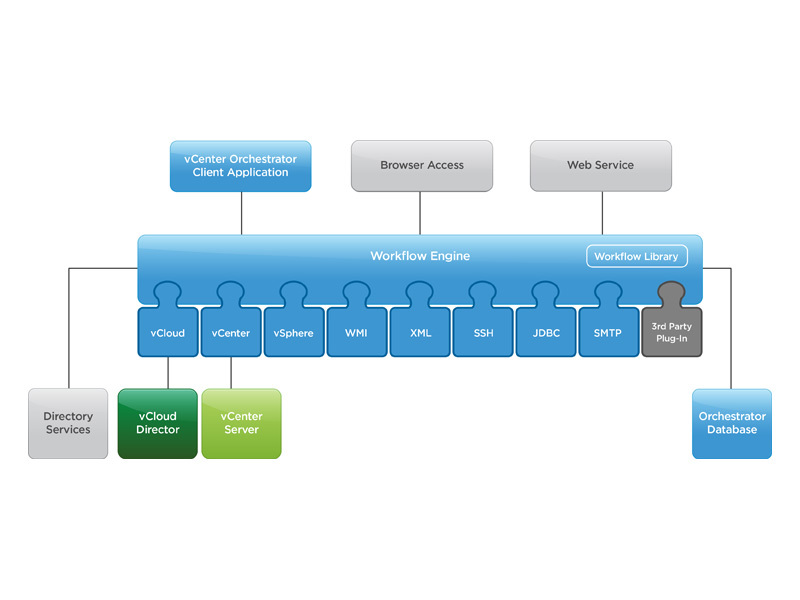 VMware vCenter Orchestrator exposes the building blocks to enable more detailed workflows to be created for VMware vSphere. 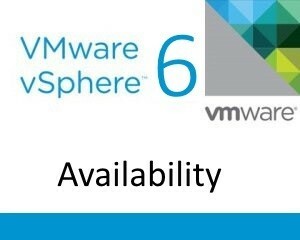 Simplify your cloud management using the VMware vCenter Orchestrator Plug-in for vCloud Director by automating routine tasks, building workflows, and scripting complex operations across multiple products with ease. The plugin can be installed by going to the Orchestrator Configuration website, install the plugin (install application) and restart Orchestrator. If you published the web operator you can start using these workflows from your browser right away. 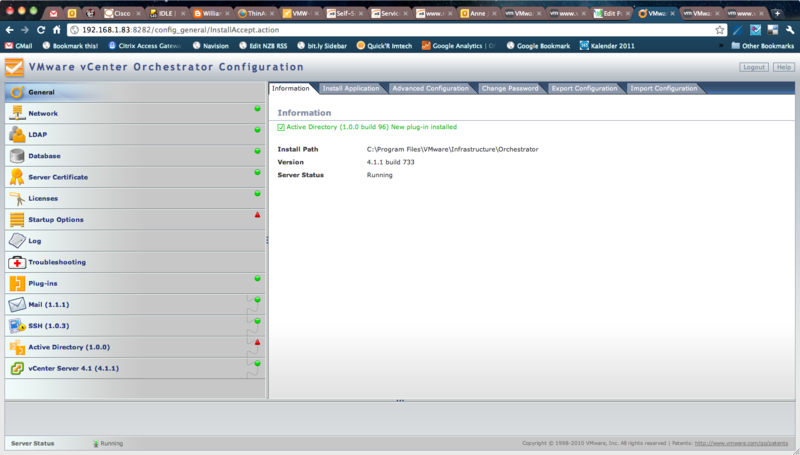 If you want to try out VMware Orchestrator, no problem. 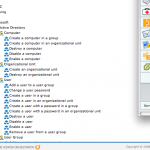 Orchestrator is included with vCenter. Check out the documentation and start automating your IT infrastructure. 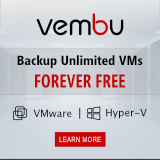 With this plugin VMware gets a little closer to a holistic view on management for your entire IT infrastructure.